Our intention with our Tracking Imprints series is not only to present our favourite labels, but also to shed light upon today’s rough diamonds that take their own, authentic path. Berlin-based Midgar is exactly one of those candidates. The label aims to contribute a story-telling modern approach to techno while also leaving the door open for its eclectic interest in music that ranges from deep techno, acid to ambient or downtempo. After having the chance of listening to Midgar’s imminent third release, we thought it would be a shame not to share with you some insight of this aspiring Berlin-based label and caught label founder Jacopo for our Tracking Imprints series. Hi! Who are behind Midgar and what are their respective musical backgrounds? My name is Jacopo, designer and DJ based in Berlin, label manager of Midgar, and co-owner of Natch Records and Behave Booking Agency together with my partner and friend Synthek (founder of Natch and resident at Tresor in Berlin). Born and raised in Solofra, a small town in Southern Italy, I moved to Rome to study and continued from there to Berlin. I Learned how to mix records from my father, I grew up under the influence of early Chicago House from producers like Frankie Knuckles and always sought for new inspirations, eventually getting closer to Detroit Techno, ambient, acid, electro and much more straightforward techno. Techno became much more the centre of my musical universe after moving to Berlin. When did you launch Midgar and what is the vision of label? 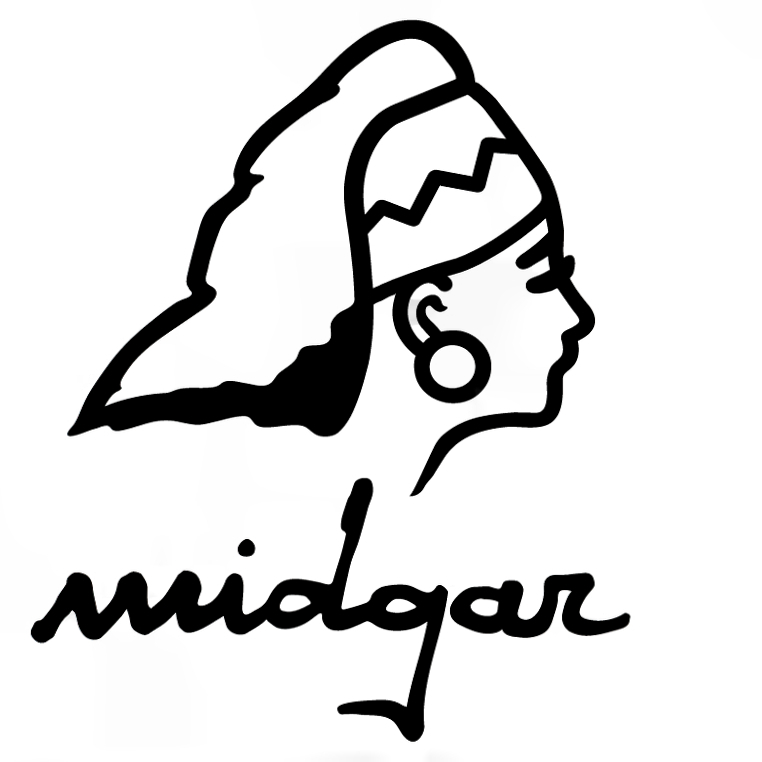 I launched Midgar in April 2014 thanks to the great help and support of my older brother Miguel. Based on the experience with Natch Records, I felt that it was a good moment to start something from scratch. In line with my musical taste, Midgar shows how much I’m willing to support young and lesser-known artists that I think deserve a spot on. Each release focuses on one composer, who usually delivers four to six tracks with the aim to convey a meaningful and consistent story. Midgar might form its own recognizable sound over time, but before to build a ready-made input, I want to release stuff which, first of all, stimulates people’s brain and fantasies before their own bodies. It’s not about floor-fillers or functional techno without a soul, just to be clear. As it happened for the first release, the tracks I release usually need time to be digested and fully appreciated by the public. Your first release came from Tokyo-based Wata Igarashi, who RBMA lists amongst Japan’s Top 10 rising electronic music producers. Where and when did you meet Igarashi and how did you compile the debut EP? I discovered Wata on Mariana Wax, he was on a Various Artist EP together with Mike Parker and the label owner of Mariana — Dave Twomey — who sadly passed away some time after the release. Wata’s track deeply moved me; I still play it regularly considering it as a great piece of deep techno. When I was preparing the release plan of Midgar, I decided to write him and the rest evolved quite naturally. He sent me a great selection of tracks and I made my choice. He did a great job retouching some of them before the final mastering. Hence, the release came out clean and very elegant, showing his true talent. I still didn’t meet Wata personally, but he will be soon in Europe for holidays and few gigs (including a Midgar Label Showcase in Naples). I’m very looking forward to that! The upcoming catalogue number 03 comes from Maltese Cloned. How did your A&R role evolve over the last year? I must say that I’ve been really lucky so far with ‘my’ artists. They are great musicians and amazing people to work with. After the debut with Wata, the second release was even easier to develop, since behind the alias ‘Ruhig’ there’s Audiolouis from Natch Records, multi-talented DJ and producer from Naples. Gigi is a great friend of mine that used to live in Berlin for few years, so it’s needless to say that we shared many ‘funny’ experiences and that working together was just great. Something like a year ago, Synthek received some tracks for Natch Records from Cloned, and saw the potential of his sound much closer to the Midgar standards, so he introduced us to each other. At the moment, I’m in touch with few other artists. I’m trying to build up a small roster and want to keep going without involving too many people. The first release was vinyl-only, but from the second one I started to give away an exclusive digital bonus track for free, in order to enhance the promotion of the EP and the artist. The third release has two free digital tracks plus four on vinyl. I don’t have the intention to release digital versions of the EPs, at least for now. I’m a DJ and vinyl collector, so I want to give a small privilege to the people out there that buy records and support the scene. However, if you want to listen to the releases, I always upload the complete tracks on Midgar’s Soundcloud page. All the releases are mastered by Ken Karter at The Code Studio in Berlin, I’m really happy with his work and the touch he gives to the cuts. He’s a really professional dude and a friend. I strongly recommend him! Those things are essential in my opinion, even for an underground techno label. Even if you decided to stay small, you still need to give the others a good chance to find you and nowadays with so many new label launching, it’s really hard to stand out! Midgar has a Youtube channel, where I personally upload videos that I make on my own at home or are results of collaborations with visual artist friends. I try not to spam too much MIdgar’s Facebook page, i.e. posting only relevant features and interesting material regarding the label because I don’t want to stress out people even if they are followers because no one cares if the record goes temporarily out of stock in this or that shop. That’s at least what I think when other labels constantly update their own pages. The distribution is of course super important and I wish good luck to all label managers for finding their favourite and reliable one, that’s a loooong way usually. There’s definitely something moving in a good direction, a system of identification called GTI ‘Geo Track ID’. It has been already installed in few clubs in Berlin and that could be a first good attempt to improve the overall royalties distribution also for small labels, which have their music registered at the German society GEMA. The main problem for underground imprint is the fact to handle unnecessary and costly process of licensing to GEMA, but in case a fair system would start working properly, that might bring some good reasons to do it. What’s next at Midgar Records? Ruff Cherry from Cork (Ireland) will release soon an EP on Midgar. This guy has a crazy talent and it was hard to believe for me that his first and only release on Elastic Dream wasn’t going to have any follow up; so I decided make it happen on my label. Before or after that (I’m still not sure) there will be a remixed version of Ruhig’s Lost In The Instability EP (the second release), which will involve four amazing artists. One of them is Wata Igarashi, but I want to wait some more time before announcing them all. Watch this space for more information. Thanks for the interest in my label!